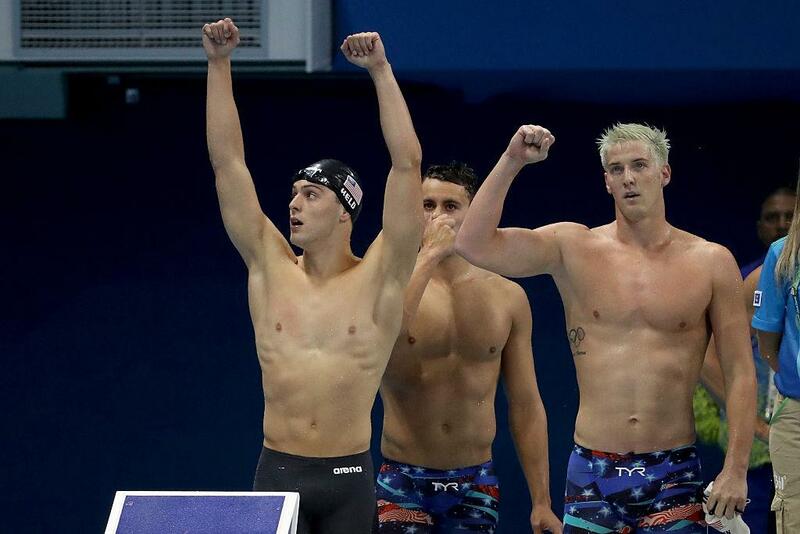 RIO DE JANEIRO, Aug 18 (Reuters) - Two U.S. Olympic swimmers flew home from Brazil on Thursday after a local crowd jeered them, calling them "liars" and "fakes," and police accused them of fabricating a story about being robbed at gunpoint during the Rio Games. Their departure marked what the U.S. Olympic team hopes will be the closing stages of an incident that has embarrassed the host city, angered the police and government, unleashed a storm on social media, and dominated news coverage of South America's first Olympics. The U.S. Olympic Committee (USOC) issued an apology after the departure of Gunnar Bentz and Jack Conger, who were among four U.S. swimmers shown to have lied about being stopped by gunmen posing as police in the early hours of Sunday. 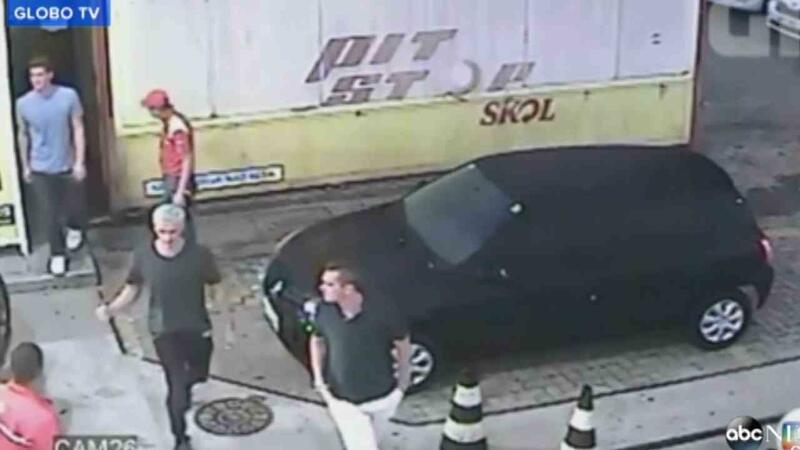 It confirmed police accusations, including that one of the swimmers had vandalized the gas station after the group stopped there to use the bathroom during a taxi ride back to the Athletes' Village from a late-night party in the city. After days of standing by the swimmers' story, the USOC backed up other police evidence, including a security video showing the swimmers in an argument with staff at the Shell service station. "An argument ensued between the athletes and two armed gas station security staff, who displayed their weapons, ordered the athletes from their vehicle and demanded the athletes provide a monetary payment," it said, adding that the guards allowed the swimmers to leave once some cash had been handed over. Apart from Bentz and Conger, the incident involved gold medallist Ryan Lochte, one of America's most decorated swimmers and the most outspoken about the robbery, and Jimmy Feigen, who also won a gold medal in Rio. Lochte had returned to the United States on Monday. Feigen revised his police statement on Thursday in the hope of securing the release of his passport, the USOC said. "The behavior of these athletes is not acceptable...," the USOC said, adding that it would further review the incident and assess any potential consequences for the athletes. USA Swimming said it could also take possible action. During the two weeks of the Rio Games, the sporting action has been competing for headlines against a series of muggings and armed robberies of high-profile athletes and visitors in Rio de Janeiro, including two government ministers. 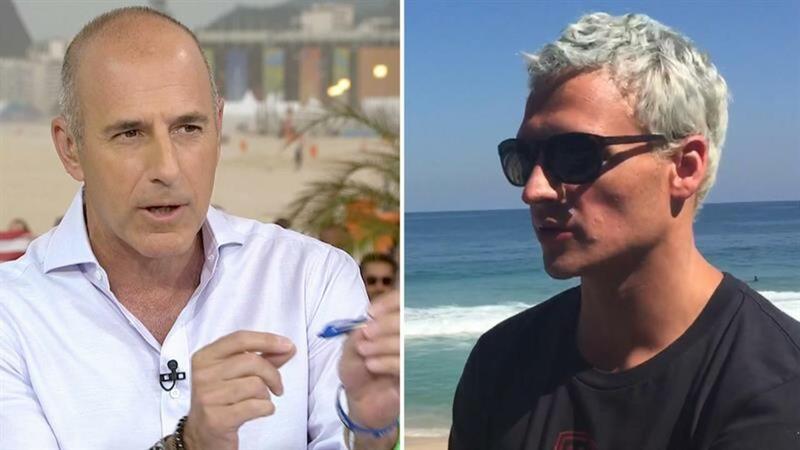 None created more embarrassment for Rio than Lochte's statement that a robber had at one point put a gun to Lochte's forehead and demanding the group's wallets. Rio's police chief denounced the story on Thursday. "There was no robbery as the swimmers described it," civil police chief Fernando Veloso told a news conference, adding that it would be noble and dignified if the swimmers were to apologize to the people of Rio. Brazil's Presidential Chief of Staff, Eliseu Padilha, chimed in, saying the swimmers should be held accountable. GloboNews reported that police were recommending prosecutors charge Lochte and Feigen with falsely reporting a crime. 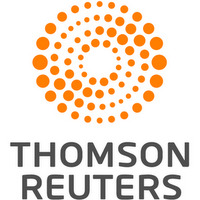 But a police source later told Reuters that this had not yet happened. Neither Lochte nor Feigen could be contacted for comment. Bentz and Conger were interviewed at a Rio police station before heading to the airport. As they walked from the building, a waiting crowd shouted "liars" and "fakes." The pair had tried to leave Brazil on Wednesday but were pulled off their flight. After checking in to the flight to Miami, Conger and Bentz were escorted by security to the airport lounge. Their lawyer, Sergio Riera, hugged them before they walked through customs. Veloso, Rio's police chief, said police investigations had revealed that the swimmers had broken a mirror and a soap-holder in the bathroom, adding that they then handed over a total of 100 reais ($31) and $20 in U.S. currency as compensation. According to Lochte's account, $400 was stolen from them. At one point, a security guard pulled a firearm after one swimmer behaved erratically, Veloso said, adding that the guard had not over-reacted: "From the moment the gun was pulled out, they calmed down. Once they were calm, the gun was lowered." The security video, broadcast on Brazilian TV, showed three of the swimmers made to sit on the ground with their hands in the air. At one point, Lochte stands and appears to argue with the guards but is made to sit down again. Staff at the gas station said on Thursday that the U.S. swimmers ripped an advertising plaque off a wall and urinated against the building. Security was called and an argument ensued, said one employee who declined to give his name. A sign on one of the bathrooms read: "Please Do Not Enter." Rio Games organizers on Thursday defended the four swimmers, saying they were just kids who made a mistake. "They competed under gigantic pressure. Let's give these kids a break. Sometime you take actions that you later regret. They had fun, they made a mistake, life goes on," Rio 2016 spokesman Mario Andrada told reporters.